Kicking off this year with this amazing recipe! It's my birthday this weekend, and we are having a BBQ to celebrate, and this recipe is a celebration of its own! 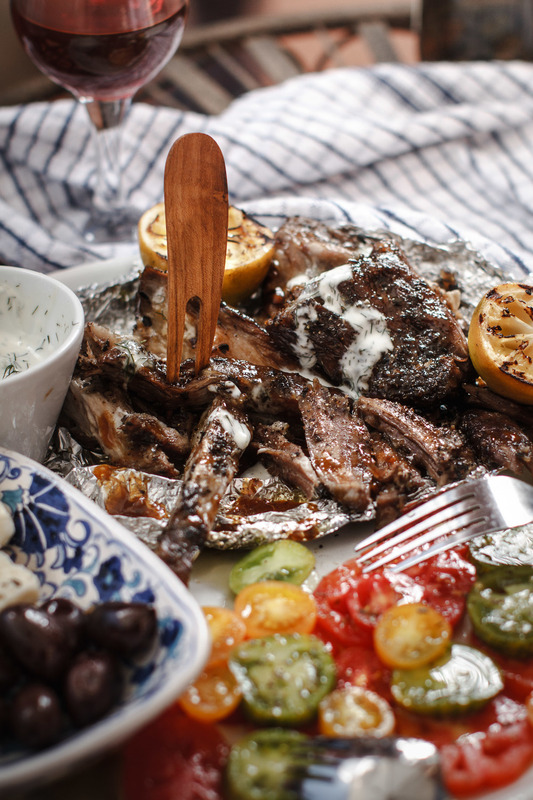 I love lamb, and this is one of my favourite ways of eating it, melt-in-your mouth slow-roasted lamb! The meat from the shoulder is sweet to taste and great for long slow cooking, which helps melt the fat and softens the connective tissue. This dish can be made for a cold winter night or on a sunny warm afternoon. Leftovers are fantastic for sandwiches or even tossed through a salad. I often serve it with roasted vegetables during winter, but tend to keep it a little lighter in summer by serving it with a good salad, e.g. fetta and tzatziki!